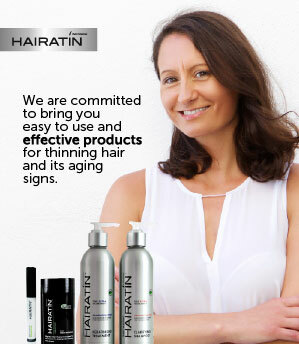 At Hairatin, we only offer products that deliver real results. That's why we ensure you always get a great product and a comfortable shopping experience. 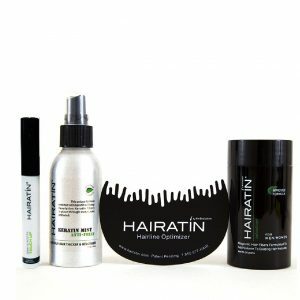 Hairatin Fibers is the replica of those keratin particles and it attaches to your existing hair by magnetism to instantly turn it thicker and fuller, which results in a less visible scalp instantly. 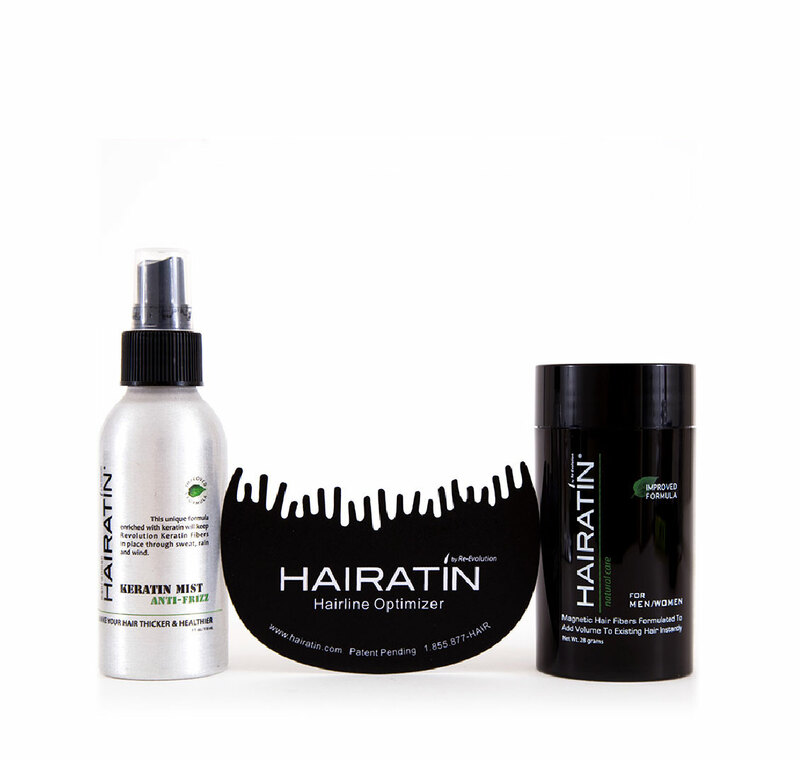 Hairatin Optimizer Comb is design to improve the application of Hair Fibers along the Hairline Area. Soft and bendable, it adapts to shape of your head. 1. Dry and style hair as usual. 2. Hold the bottle at a 45 degree angle and Lightly shake it into thinning areas. For best results apply little by little and shake the bottle sideways or slightly tapping it at the bottom to disperse evenly. 3. 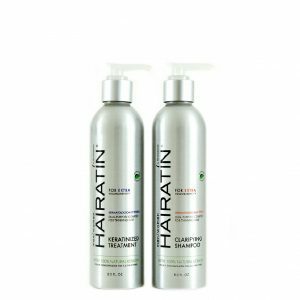 Gently pad hair to disperse fibers. Hold the bottle 5 inches away from the scalp and apply freely. 1. Insert the teeth of the Hairline Optimizer into your hairline. 2. Shake Hairatin Fibers around hairline. 3. If desired, gently pat hair to disperse Hair Fibers. Turn your hair thicker instantly. Set of hair fibers and roots concealer essentials.